Product Description: A high quality, 100% acrylic latex pigmented to give a flat finish, rich satin finish and semi-gloss finish. 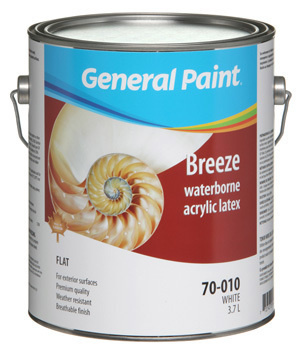 Intended Uses: A quick drying, weather-resistant finish for exterior wood, stucco and masonry. Intended for use on most exterior vertical surfaces, which can be used for low temperature applications (2°C). No primer required on Concrete and Masonry. Extra Features: *Can be applied at 2°C *MPI #10 Approved *No primer required on Concrete & Masonry.